German politician Cem Özdemir was given police protection following a chance encounter with a Turkish delegation in a Munich hotel lobby. The police then assigned 3 police offers to protect Özdemir. Özdemir, the son of Turkish immigrants, is an unpopular figure in Ankara due his forthright criticism of the Turkish government and of President Recep Tayyip Erdoğan. Referring to the incident Özdemir said, “I could see by their expressions that they were not pleased to see me," adding that the episode provided, “an indication of the kind of aggression probably practiced by this 'unsecurity personnel' in Turkey, if they behave like this in Germany." The incident is the latest in a series of disturbances that have tarnished Turkish government officials’ trips abroad. 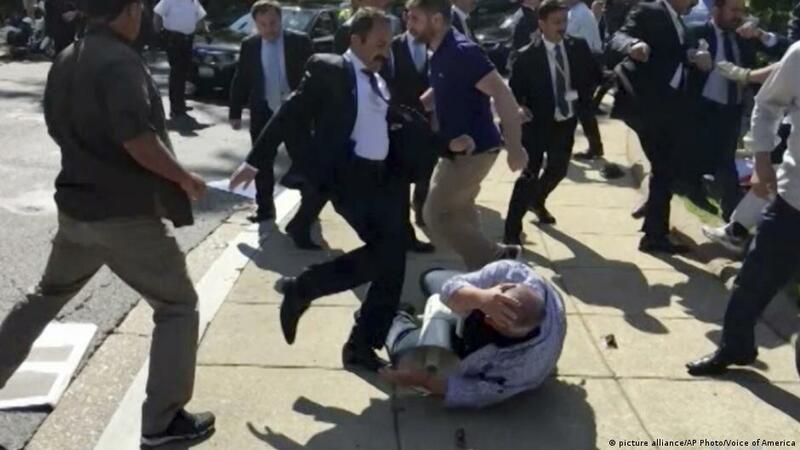 Last May, U.S. justice officials issued arrest warrants against some of President Erdoğan’s bodyguards following a fight with protesters outside the Turkish embassy in Washington D.C. Scuffles involving Turkish bodyguards also occurred when Erdogan visited the U.N. General Assembly in 2011, and at Mohammed Ali’s funeral in 2016, again in the U.S.